Voted the #1 Executive Golf Course in Orange County, Birch Hills is a wonderful par 59 course with 13 par threes and 5 par fours. Greens and overall playing conditions are currently considered the best ever in its 35 year history. The course has some magnificent scenic holes and is very non-intimidating. Birch Hills is the perfect course for seniors, couples of all ages, juniors, and for all those that are just getting started out in the game. If you are not comfortable paying expensive green fees and feel intimidated on long championship golf courses...then Birch Hills is the ideal place for you. We also feature a full service restaurant which is open for breakfast and lunch and we provide a fantastic all grass driving range and practice facilities. 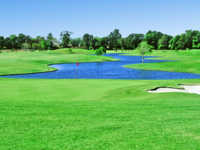 Our friendly staff is looking forward to seeing you soon out at Birch Hills Golf Course in Brea!